Hey all! Although I know my way around the Sunshine State of Florida, having lived in the Fort Lauderdale area for nearly a decade, I’m not a native. I’m originally from small-town Wisconsin. (You betcha! On Wisconsin! Go Pack!) So, I decided to ask a peer travel writer and native Floridian, Josh Daniels, to shed some light on the reasons why you should vacation in Florida. The floor is yours Josh. Let’s hear the Six Reasons to Vacation in Florida! If you have been to Florida before, then you are likely to have already become a bit of a Florida fanatic; it is called the Sunshine State for a reason. But if you are yet to visit the southern state, then you may not be aware of all that Florida has to offer, besides the theme parks. There are so many reasons to visit Florida, and if you’re not sure what they are, then here are some of the top reasons to visit. If you are looking for somewhere that will be warm and full of sunshine, then Florida ticks all of the boxes. Even in winter, or in their stormy season (September and October), there are still plenty of hours of sunshine and high temperatures. Even if you don’t plan on hitting the beach, you can enjoy the glorious sunshine and soak up that vitamin D.
Florida is so much more than Orlando and Disney parks, as there are some amazing cities that have some amazing nightlife. The east coast is home to Miami, Ft. Lauderdale, and West Palm Beach which are the best places to party, especially around the spring break season. Tampa is popular on the west coast, as well as most of the gulf towns by the beach. There are things geared for all ages, so don’t feel like you have to be a spring breaker to have fun in Florida. There is a huge range of places to stay in Florida, so it makes it suitable for all people and all budgets. Renting out a vacation home can be a good idea if there are a large number of you going. But if you like the finer things in life, then you have plenty of choices of five-star accommodation. Even somewhere like Comfort Suites Ft. Lauderdale Airport South & Cruise Port could be a good place to stay if you’re looking for a bargain. There really is something for everyone and every taste and budget. Florida is home to a large number of national parks. So if you enjoy the great outdoors, then this can be a great place to visit. 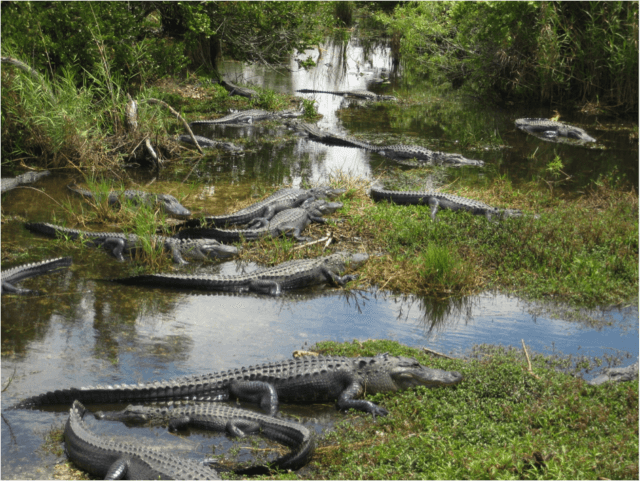 There are so many nature reserves and monuments, including the world-famous Everglades National Park, where you can spot some rare birds and animals. Florida is home to some of the best beaches in the world. The west coast is calmer waters then the east coast, but they are all well kept and have light, soft sand. Along with the beaches, the watersports are second to none too. Paddleboarding, wakeboarding, surfing and snorkeling are all to be experienced in Florida. Ok, it can be hard not to mention the theme parks, as they are a massive part of Florida life. You can visit the Disney Parks in Orlando, as well as Universal Parks, and things like Legoland and Busch Gardens down in Tampa. There really is something for everyone, and plenty of waterparks too.